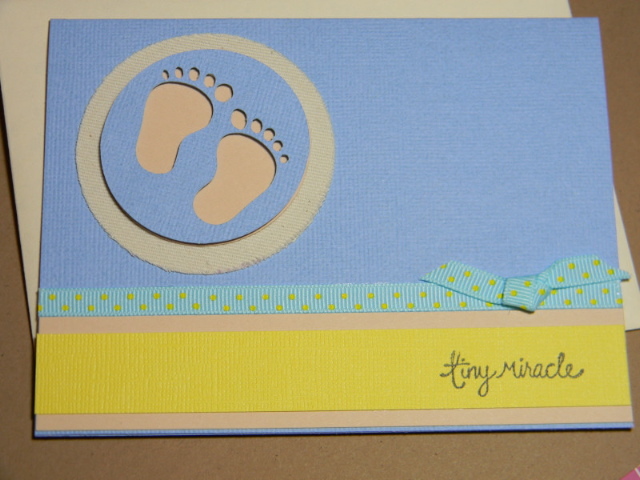 Someone I know just had her first baby a little earlier than expected, so I made her a card for the occasion and decided to enter it into the Cricut Cardz Challenge for the week. I used New Arrival, and sticky back canvas, as well as some adorable little stamps to go along with the theme and a little ribbon to finish it off. TFL! This is just the cutest card. I love the simplicity of the design. Thanks for sharing with us at CCC. Really cute! Thanks for playing along with us at CCC! When a card stops being "just a card"